Moments of pristine serenity are hard to come by, yet we all experience them sometime or another. Normally followed by reflection and contemplation, these fleeting feelings are difficult to walk away from. Somehow, that picture-perfect future or memory is corrupted and generally it’s a very fast and abrasive fall back down to what seems like a hopeless reality. When the stage has been set, and you have certain expectations about the role that somebody will play in your life, it’s considered to be crippling to have these foundations ripped out from underneath you. What’s worse is when you’ve worked incredibly hard, only to have the face that once felt like home become the reason that you’re feeling so cold and removed. Kat Edwards’ “Stranger In My Room” is a serenade that represents the progression just after denial, when you’re coming to terms with what needs to change. “Stranger In My Room” is starting to gain momentum in Australia as Kat Edwards’ tender voice rapidly hits many hearts. Edwards, a singer/songwriter from Tasmania, Australia has managed to produce a track that will leave you utterly paralyzed. 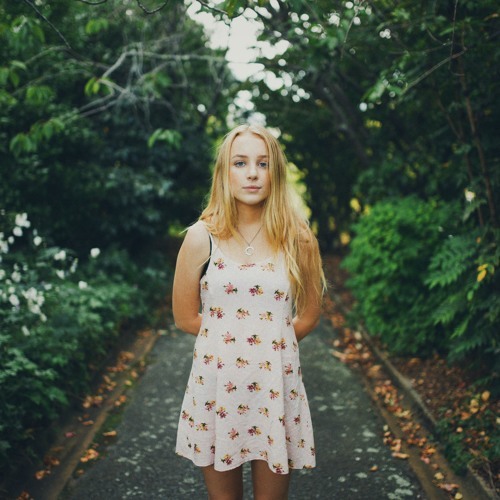 A combination of Missy Higgins-esque songwriting paired with acoustic/bluesy undertones, “Stranger In My Room” ironically has a familiar, yet calming vibe about it. Whilst the recording is quite rough, its simplicity adds another nostalgic element that yearns for simpler times. The slow, but cumulative build throughout the duration of the track, paired with the evocative vocals leads to a moment that you won’t easily forget. Were we hoping to feel something? Backed by a bare, soulful acoustic guitar and minimal additional instrumentation underneath, Kat Edwards sings a slow and poignant reverie. If you close your eyes and allow yourself to be swept up in the fermentation of the truth, this track facilitates that confronting ride. “Stranger In My Room” is a stunning, melancholic tribute to a moment in time infused with grace and maturity; it leaves even the strongest of us with nothing but a white flag.